There has been a lot of talk about this 2018 Nebraska recruiting class and just how many of the nine commits remaining after Chase Williams decomitted were in danger of leaving the class. It seemed like every recruit had been taking a “wait and see” approach to their commitment once Mike Riley and staff were let go. One curious case throughout this season was 4-star defensive back commit Mario Goodrich‍. Goodrich has been pretty quiet the entire season even when things were going relatively well and multiple commits were coming back to Lincoln for visits. 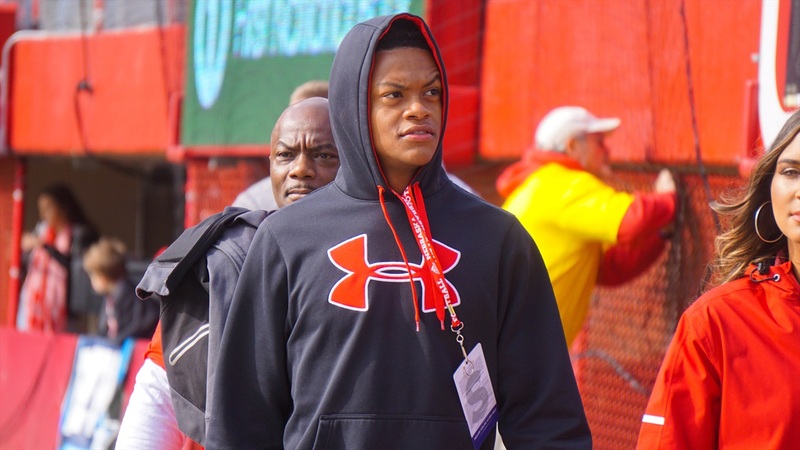 He did not join every other commit in taking a visit to Lincoln for the Wisconsin game and took his official visit for the Northwestern game. In an announcement made on Twitter, Goodrich has decided to open up his recruitment. The loss of Goodrich from the class is profound in many ways. First, Nebraska cannot afford to lose any more talent from this recruiting class that is slowly being chipped away at after a subpar season that led to the dismissal of Riley. It stings more when the Huskers lose a quality prospect in the 500-mile radius because they really made it a focus to improve their recruiting close to home. Also, losing Goodrich from the class means there are no more defensive backs committed in the 2018 recruiting class. Defensive back and wide receiver are the two biggest needs for the class numbers-wise so the new staff with be starting fresh to build up the numbers in those key areas. I do not think Goodrich has closed the door on Nebraska completely. His family loves Nebraska and the proximity to Lee’s Summit, Missouri. That factor alone will give the new staff a path to getting him back in the class. We also still don’t know the fate of former defensive backs coach Donte Williams. He and Goodrich are very close and retaining him would help the Huskers immensely in his recruitment.